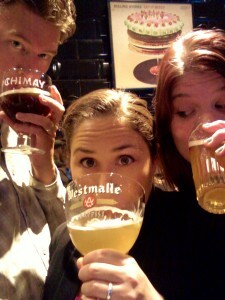 Our final destination in Europe, Belgium, was centered around two of the things that make Belgium famous: food and beer. It was also my birthday week while we were there, and I couldn’t think of a better place to be. Sara did an excellent job of organizing visits to several breweries, big and small, all around the country. We were based in Brussels our entire week. Sara’s friend, Arica, is living there through the fall making a movie, and her friend Jeanne was nice enough to put us up for the week. Thanks guys! 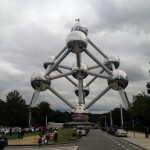 In Brussels, we made a couple of interesting stops. The first was at the Cantillon Brewery, which is famous for its Geuze beers, and is unique to the Brussels area. Unlike almost all other beer in the world, lambics and geuze beers are fermented with wild yeast, instead of a cultivated strand that’s unique to the brewery. So while most breweries strive for consistency by using the same strand, almost every batch of Cantillon is a bit different. The beer was a bit too sour for our taste, but it was interesting none-the-less. Plus their self-guided brewery tour was really interesting, as they have a lot of 100+ year old brewing equipment still in use. We also went to the famous Delirium bar, which claims to have over 1000 Belgian beers available (there are around 1500 total in Belgium). We weren’t that impressed overall, as the staff was very impersonal and they didn’t have any of the really good Belgian beers – seemed more like a tourist trap than anything else. They also had a bottle of Westvleteren 12 for sale, but at 15€, we decided to take our chances in a few days at the brewery itself. As a note, all of the above beers are readily available in the US, and we’d especially recommend the Rochefort 8 (most drinkable) and the Tripel Karmeliet (most interesting). And, the Chimay Blue remained Kyle’s favorite after sampling nearly the whole list. Anyway, we had a great day in Bruges. The other highlight for us was the Beer Wall, which has a bottle and glass for every Belgian beer in production. It was especially interesting because each beer has its own signature glass, so every beer and glass combination were unique in some way. 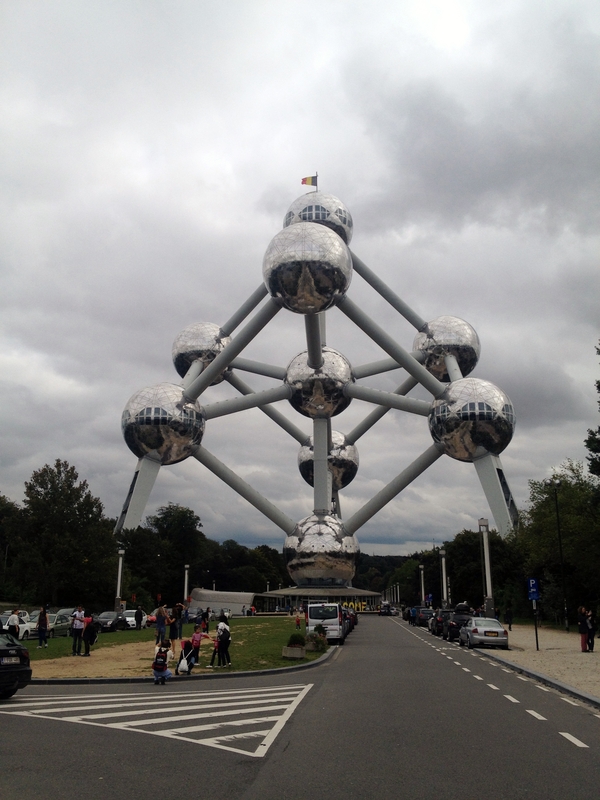 Our other day-trip destination was Mechelin, about an hour outside of Brussels on the way to Antwerp. We went there primarily to visit Het Anker, the maker of #8 on the list, the Gouden Carolus Cuvee Van De Keizer Blauw/Blue. The brewery itself is almost 650 years old, so the tour was especially interesting, since they talked about how the brewery was founded by semi-monastic Christians called the Beguines. We also got to walk through their old brewery, which was four floors, and involved climbing through windows and up and down narrow staircases. It was definitely not a tour like you could take in the US. Their famous Blue is actually only brewed one day a year, on the King’s birthday (it’s called the Beer of the Kaiser). It was really tasty, and although not something I’d seek out again, we are glad we made the trip out to Mechelin for the day. All-told, we made it to 4 breweries and drank 5 of the top 13 dark beers in our 6 of our 7 days in Belgium. Not bad, but one of the most glorious days of trip was the 7th day, our visit to Poperinge, which deserves a post all to itself.